Every family history researcher knows that death records might tell what killed ‘em. As a family history researcher myself, I found right there on my great grandfather’s death certificate from a genealogical search in Austria, in the ancestor search records from Vienna, that he had died of stomach cancer or “Krebs” as it said. In all of my genealogical research, travels and family history research interviews, I had never heard that he had been ill. Yet, there it was: cause of death confirmed. Family history researchers have great ways to uncover what caused the deaths of the members in our family tree search. We are the genealogical detectives. We keep at it until we find what it was: consumption, heart attack, polio or death in childbirth…the list goes on. Here is a quick tip for the family history researcher: Find the medical professionals in the family and seek recollections from them. Did they hear stories? Do they remember any family members who had died in 1918-1920? For those family history researchers who trace family history and uncover a relative who died in 1918-1920, it is a good idea to delve deeper. 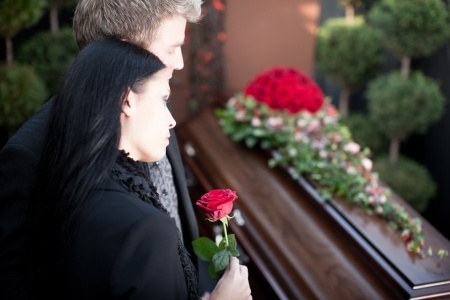 The cause of death from that time may surprise you. Ancestor searches covering the early 1900s will likely encounter the Pandemic of 1918, also known as the “Spanish Flu”. This was the largest mass public health crisis in the 20th century. It began in the Spring. Then, it wiped out 50 million people worldwide and lasted through 1920. It featured a killer flu that began as a simple cough. Within days or even hours, it killed its victims. It was horrible: people were coughing up blood and dying right then and there. Family history researchers will find that this flu cut down so many branches on our family trees. If you combine the biology of that time with genealogy now, you might get GENEOLOGY. But for now, let’s give you a retroactive flu shot: The family history researcher may just find a record number of infants, teens/young adults as well as members of the armed services who died during this epidemic. This 1918 Pandemic was so traumatic for the nation and its communities that many records still exist in community group histories and local town histories. The University of Michigan Center for the History of Medicine features an archive with many local newspaper stories. At that time, American military troops were being readied for World War I action. Troops—and their germs– were rounded up from every town and city in America, then dispersed to military bases around the country and sent overseas. Group migration and close quarters are a virus’s ideal environment and the spread of these germs killed over 1 million American servicemen. While World War I Records are available at the National Personnel Records Center in St. Louis, Missouri, although a 1973 fire destroyed many personnel files including 80 percent of the Army files from 1912-1960. The American Battle Monuments Commission website lists many World War I deaths that occurred on foreign soil. Soldiers buried at national cemeteries may be found in a website maintained by the U.S. Department of Veterans Affairs called the Nationwide Gravesite Locator. 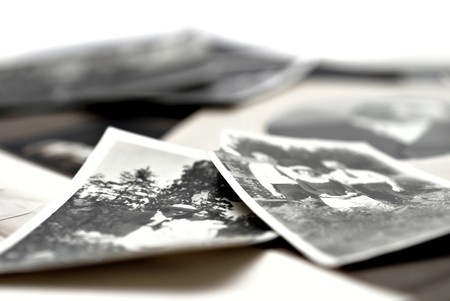 Family history researchers have found that health records get murky for this time period. That’s because the local and regional hospitals were so overwhelmed with the large number of people who contracted this flu that they were forced to erect tents to accommodate the overflow of patients. 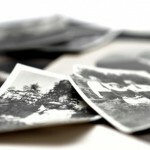 To keep your family history research alive, it will be important to search wide. Search in local hospitals, city death records, funeral parlors, cemetery listings as well as in the local and county health and death records. That Pandemic was an awful flu that saw no remedy. Descriptions of Pandemics and mass deaths and other tragedies still fascinate us family history researchers and professional genealogists. If you have heard that a relative died tragically or of an illness and you want to confirm the diagnosis, or know of someone who passed away during that period of 1918-1920, a professional genealogist from RecordClick will give your ancestor search a real shot in the arm and do your search for you. Our family history researchers are here to take care of you, so contact us. Oh, and be sure to get your flu shot!